In today’s review we will present one of the latest HIS Digital graphics cards which is RX460 Slim iCooler OC 2GB. Probably the most interesting thing about this graphics card is cooling design which is only single slot while reference cooling takes two PCI/PCIE slots. It’s for sure advantage to all users who are building small computers. Except mentioned slim cooler, this card is also overclocked comparing to reference AMD design. 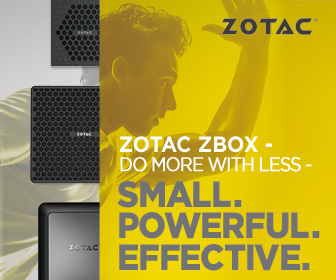 Smaller, cooler and faster at the same time ? Sounds great! In this review you will find out how all of these features work in real. The card is equipped with the widely acclaimed HIS iCooler – certified by HIS that generates less than 28dB in 2D mode. Stream and record your favorite games with virtually no performance impact – thanks to Polaris architecture with Ultra HD HEVC Encode and Decode. With a dedicated multimedia block 4K, H.265, 60 FPS encode and decode is now possible! Polaris architecture precisely combines the latest FinFET 14 process technology and AMD’s advanced power, gating and clocking technologies for a whisper-quiet gaming experience. Enjoy gaming features that dynamically optimize sound volumes based on actual temperature and workloads. And be ready for the latest displays with support for HDMI® 2.0 and Display Port 1.4 HDR Ready! OK, let’s take closer look at the specifications of the HIS Radeon RX460 Slim-iCooler OC 2GB Graphics Card. Buy the Radeon RX460 from Amazon – https://goo.gl/2gM9r2.